The Best Slideshow Application is Getting Even Better! 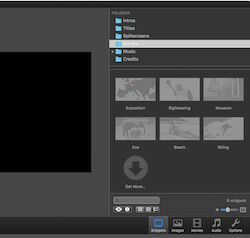 Pre-build reusable snippets that just need to be populated with images, videos and sounds allow you to create a masterful slideshow in minutes. During your trips or vacations, you take many photos and videos. Back home, you'd like to share your impressions with your friends and family. But where to start? FotoMagico 5 provides predefined visual stories that match with common experiences to help you tell your perfect story with your own images. You need to create many slideshows for your clients and don't want to start from scratch every time? 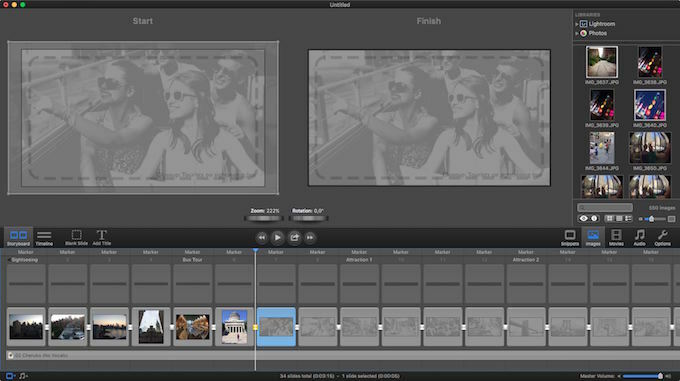 Build your own snippets and just replace the with the appropriate photos, videos or sound. Whether you are a digital scrapbooking novice or a FotoMagico pro since day one, the latest version is designed for beginners, experts and everyone in between. FotoMagico 5 is simplicity at its finest, focusing on what really matters: the creation of beautiful slideshows. 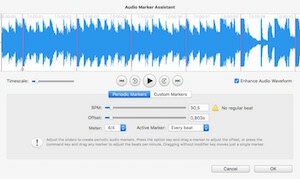 A new Audio Marker Assistant allows you to insert audio markers more precisely than ever before, making for perfectly synchronized slideshows that are music to your ears.